One of many pressing concerns for small publishers in Australia is simply this: are there enough buyers to consume their print runs? The question begets three subsequent concerns. Firstly, are Creative Writing programs creating a glut of writers and, in tandem, small presses to accommodate the ambition of that growth? Secondly, what is the quality of that which is being written, then published? And thirdly, can a small press sustain a viable publishing schedule with today’s technology based on points one and two? These concerns are testament to and the result of a multitude of forces that sculpt and govern the pace and volume of titles being released by small presses. In this article, it is my intention to chiefly address that third concern – who is publishing print poetry and, to some degree, how and why – directly with hope that any resulting discussion might cast its gaze upon the first two. I start with this devil’s advocate view primarily to acknowledge its presence. At times, such unglamorous chestnuts as ‘bottom lines’, ‘market suitability’ and ‘sustainability’ blow open the trench coat of small-press publishing – exposing realities of being in business in the way that a freelance accountant is also in business – diffusing its sexiness and mystique. Thankfully, the antithesis to this gloom – resulting in a vantage point equally emblematic of the initial question I opened with – is the sure and absolute fact that small presses in Australia are booming. This reflects not a creative renaissance (as I argue that creativity and entrepreneurial sparkplugs never wane in a society, though they certainly can be shackled 1, but evidence of a population with an extant, ever-developing and critical engagement with written arts. Which brings us, more specifically, to poetry and its printed publication. I was … I guess the term is gobsmacked … when I first came to Australia in 2003 and found that major daily newspapers of record such as Melbourne’s The Age, the Sydney Morning Herald and The Canberra Times were all publishing poetry, even if only once a week. They’re still doing so, which speaks volumes at volume. The passion for literature, pulp, poetry, criticism, whatever the form this passionate wont may assume, is both arresting and rigorous in Australia. Without that, there is next to nothing to write about in this space. It’s also a maddening truth that publications that eventuate from this ‘small’ and ‘un-corporate’ passion don’t often punch through Australia’s shoreline and on into the zeitgeists going off in rest-of-world; our geographic isolation renders an unwanted but unavoidable gravity that fetters a great many notable works only to this land. The innumerable reasons for that effect are best left to another investigation, but I need to note it here. 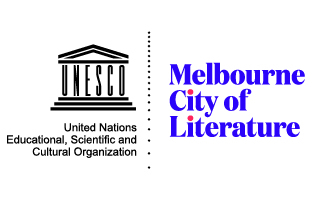 It is also imperative to mention that a society’s thirst for letters such as Australia’s is one significantly bolstered by generous state and federal support. Yes. I’m talking about cash. Freezing cold and hard (to come by). Such funds cannot and will not ever supplant passion in the currency of small-press publishing, but they are handy to have on your person. Throughout this article, I’ll interject look-ins at what a few small presses are doing in the realm of business liquidity – a term about as far from poetry as you can march – but any perceived “perfidy” of this pragmatism will get no apology from me. • Online-only publications that feature poetry have been taking root fortnightly, it seems, if not with greater frequency. They’re an experimental and exciting bunch, teaming with as much diversity as the Peruvian rainforests. They deserve their own assessment. Mascara, Verity La and foam:e are standouts. • Literary journals and magazines that feature poetry are similarly on the uptick, adding to many well-established titles. While venerable publications such as HEAT (which has ceased printing but lives on at an IP address near you) and Island (teetering on the edge of being online only, print and online or not at all) have stumbled, more recent print publications have stepped in and up; Wet Ink, The Sleepers Almanac, Page Seventeen, Australian Poetry Journal and the snappy Mook series by Vignette Press as examples. Read Benjamin Laird’s recent Australian Literary Journals: Virtual and Social. • Changes in technology have brought shifts in the volume and quality of self-published print poetry. Those, too, requires their own discussion. So what’s going on with print poetry in Australia? Let’s start small. The word chapbook typically gets blank stares when I talk about its form to friends or colleagues not involved with or interested in reading poetry. I can sense them playing along or fumbling for a contextual definition on the fly. And that’s okay. Chapbook: a writer’s word, an object with an artier savoir-faire than most paperbacks, a writers-of-poetry totem with an organic cachet. At times when I am frankly asked, ‘What’s a chapbook?’, I reply that it’s more like an EP, as compared to a full-length album of music. Bingo. Brennan: I don’t look at publishing poetry as anything more than a working of impermanence, in the way that a conversation moves smoothly through arising differences and allows for anything, takes a subject, like a poem, picks it up for a moment and then sets it back down. Vagabond has a short but rich history of producing poetry, with much more to come. Relative newcomer Whitmore Press puts out slick-looking chapbooks that nod quite heavily (almost but not quite bruising its chin in so doing) to the classic Faber & Faber style. It has built an impressive list and runs an annual chapbook manuscript competition. Rob Riel at Picaro Press has been in the chapbook racket for years and displays no signs of letting up, recently investing in two new digital print-on-demand presses. He’s lent the chapbook format to Picaro’s serial publication, Wagtail, now a distinct if obscure institution unto itself. Black Rider Press has been stomping along for some time now, punching its way through traditions to form the interesting publisher it is and the list of varying formats (largely chapbooks) it sports today. PressPress has also built a substantial list of chapbooks, releasing large swathes of titles in a various series and with more on the way. It is dabbling in chapbook translations – a quality touch – and runs an annual contest of its own. Blemish Books is two issues into its Triptych Poets series, ostensibly the binding of three different poets’ chapbooks into one volume to make a thicker, slightly chappier-book. Look for more offerings there this year. Mulla Mulla Press is a new concern that’s taken to the chapbook as well, tapping into the literary fabric that’s looming (or fraying, depending on your tastes) in Western Australia. Walleah Press, chiefly known for its literary journal Famous Reporter – an undisputed institution in Australian poetry – also dabbles in chapbooks now and again, although no more than one a year. Proletarian daddies Melbourne Poets Union Inc. releases its own series of chapbooks of emerging to very established poets. Australian Poetry’s erstwhile incarnation, Australian Poetry Centre, released in 2010 a New Poets Series of four writers who well deserved to be read, which offered up great poems in shoddily produced books. The chapbook doesn’t demand an airtight, sophisticated production quality, but they’re still books – real books that require layout and editing – and should be approached as such, especially by the self-appointed ‘peak industry body’ for poetry in Australia. Chapbooks are short, small in stature, inexpensive, readily stocked by a dozen or fewer bookstores in Australia. Chapbooks happen at readings. It is upon those occasions that chapbooks trade as a passionate currency much more so than a vehicle in which to earn $3 to $15. They’re lean distillations of intensity, providing adhesive to and amongst writers – isolated by regions and experimentalism – who form a community or movement. Australia’s geographic vastness begets their popularity. Perth, Western Australia, is the most isolated metro area on the planet; its poetry scene sustains itself as a microcosm in a nation where much of the writing and printing of poetry is beyond the Moon or further. Terri-ann White, Director of UWA Publishing, notes that historically ‘there has been a strong culture of poetry sharing in Perth, at least since the 1970s. Mostly, the chapbook was the form of published volume: that important hand-to-hand method.’ Currency. White: I recall folk music and poetry mixed it in evening performances in city and suburban locations. These days there are a number of active groups operating, but I am uncertain if they are group-based happenings or if they rely on a larger audience. Most of them happen in cafes and bars, as is good and proper. White continues, ‘But it is rare that the named poets in this oral culture make it into print’, noting that Perth has only two traditional publishers: Fremantle Press and UWA Publishing. We have only recently stepped into poetry publishing, with single-author selected volumes and revisits of classic Australian poets who have been willfully allowed to go out of print over decades: Dorothy Hewett, Francis Webb, John Shaw Neilson. Fremantle Press certainly has had a role in nurturing many Perth poets into careers and recognition. 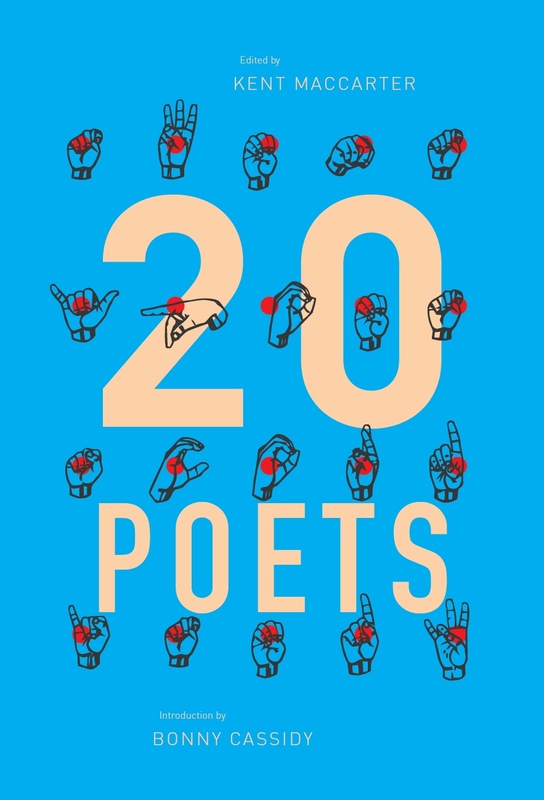 When you count up the new poetry books being released every year, you notice two things: they are published by small or micro publishing houses, and the cumulative numbers put paid to the idea that poetry publishing in Australia is in a parlous state. Without question, the Australian chapbook is flourishing. But it’s absorbed a few tragedies as well, notably the erstwhile Small Change Press run by Graham Nunn and David Stavanger. In this case, SCP relied on the currency of chapbooks as I’ve discussed, but also depended heavily on live performances around Australia. Plus, its management committed to having two people in equal ‘charge’. I asked Nunn about what combination of events occurred to see his press lock its doors – if not forever, just for now (thank you, Uncle Tupelo) and the foreseeable future. ‘It’s a funny one … the physical publishing side of things is in many ways getting easier, but the distribution and sale of poetry has always been a tricky beast,’ says Nunn. Nunn: [Small Change] is a huge believer in putting poets in front of audiences, but in a country as vast as ours, [that] is an expensive business. Publishing poets who had that ability to connect with a live audience was something that SCP did really well. Time has definitely been the biggest hurdle for us. We work collaboratively on every book published. The down side is that this requires us both to be in the same place for extended periods and have the time to develop each book. With families, work and our own writing projects, that time hasn’t been as available as we need it to be, so to keep our integrity as a press we decided to put things on hold for now. This entry was posted in ESSAYS and tagged Kent MacCarter, publishing, Small Press. Bookmark the permalink.